While it would be nice to find a way to eliminate all stress from your life, that's just not possible. What you can do, however, is learn how to manage it effectively using positive stress management strategies. According to MayoClinic.com, exercise is one of the best and most effective ways to manage stress. Getting your heart pumping releases endorphins, which are "feel good" hormones that may greatly reduce your stress and improve your mood. Additionally, becoming engaged in physical activity can help take your mind off things that are troubling you, allowing you to temporarily clear your mind of stresses that are weighing you down. You may find that you are better able to focus on how to solve problems and deal with challenges after such an escape. Activity can also help you, in effect, burn off anger and frustration. Any form of exercise can help - from a rigorous cardiovascular workout to yoga, walking, running, or anything else you prefer. You may even want to get involved in a team sport like basketball or soccer. Tennis and racquetball are also great options. You don't have to be an athlete - or even in great shape - to enjoy the stress management benefits of exercise. Making sure that you are eating a balanced diet featuring healthy, whole foods and avoiding heavily processed foods is an important key to effective stress management. According to an article published by the University of Georgia's Health Center, getting proper nutrition and avoiding unhealthful foods can have a positive impact on your mental and emotional well-being in addition to improving physical health. Spending time engaged in an activity that you enjoy, but that is not directly related to your day-to-day responsibilities, can be very beneficial. The Mayo Clinic explains that hobbies are not time wasters, but rather they provide a great way to experience meaningful stress relief. 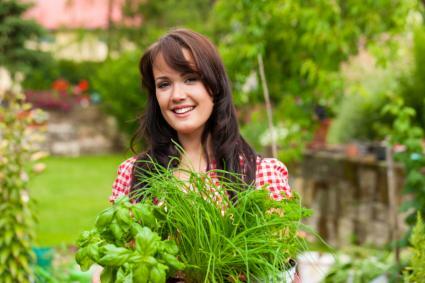 Whether you enjoy gardening, crafting, cooking, painting, or any other activity, set aside time to allow yourself to pursue your passions as a way of relaxing. Meditation involves using your mind to slow down your physiological responses. Engaging in this practice can teach you how to clear your mind and train your muscles to relax and slow down your heart rate and bring down blood pressure. For stress management, WebMD recommends mindful meditation, a practice that involves focusing on what is going on in the moment, raising awareness of the present experience without trying to change things. The idea is to bring about relaxation by not reflecting on what happened in the past or fretting about what may occur in the future. Using visualization techniques is a powerful "mind over matter" way to help get stress under control. Holistic-Online.com explains that imagining yourself in a calm, relaxing environment can allow you to calm down and relax so that you can let go of circumstances that are causing tension and agitation. To use this strategy, stop what you are doing, close your eyes and let your mind go blank. Picture yourself in an environment that is relaxing to you, such as sitting on the beach or floating in a swimming pool. Allow relaxation to take over before you open your eyes. Breathing exercises can be helpful for stress management. According to the University of Texas (UT) Counseling and Mental Health Center diaphragmatic breathing can be a powerful tool for relaxation. This technique focuses on breathing deeply in a controlled manner that maximizes the quantity of oxygen entering the bloodstream to disrupt the "fight or flight" response that often accompanies stress, resulting in a more relaxed feeling. To use this type of breathing as a stress management technique, remove yourself from the crisis as much as possible and count down from 10, slowly. As you count down, take a deep breath in and out, as deeply as possible on both the inhale and exhale. View the embedded video for specific how-to instructions. In an article on PrimusWeb, Certified Personal Trainer Vicky Pierson lists using mantras as an effective stress management technique. A mantra is a positive word or phrase that you say to yourself (silently or out loud) are a good way to help you stay focused and calm. Think of something motivating or inspiring and repeat this to yourself whenever you feel yourself losing control. Reminding yourself to "pick your battles" or that "this too shall pass" can have a relaxing effect. Mantras can be anything meaningful to you. If you need a few ideas of phrases to use, see this blog post on 52 Monday Morning Stress Reduction Mantras. 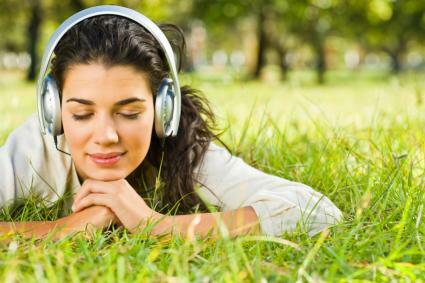 According to PsychCentral.com, music can a calming, soothing effect on your mind and body. Classical music can be particularly effective, though other styles can also be helpful to you depending on your own preferences. You can listen to either guided relaxation CDs, soothing music, or another type that goes along with how you are feeling. Listening to music is cathartic and can help you relieve some of the anxiety you feel. According to Dr. Barbra Cox, consulting psychologist and transformational life coach, journaling can be a powerful stress management activity. If you are feeling overwhelmed you may need to just get it all out of your head. Sit down with a paper and pen and start writing everything that comes to mind. Write down everything you have been through during the day, everything that has bothered you, your hopes and fears. Once you are done, you may feel a lot less tension. If you don't, look over your list and figure out what you can take control of right now. Venting is another great way to manage stress. Call a friend or family member and let him or her know what has been going on with you as a way of getting things off your chest and experiencing a cathartic release. Only call someone who you know will be good support for you or you will end up even more irritated. In an article on MyLifeDirection.com, Dr. Edythe Kidd-Okwilagwe recommends securing a venting partner to provide this type of support and assistance when needed. Allow yourself to take a break when you feel overwhelmed. In a Psychology Today article, Alex Lickerman, M.D. emphasizes the importance of regular breaks, explaining that doing so can actually help you become stronger and more able to cope with the stresses of daily life. Some people continue to work even though they are tired or overwhelmed. This decreases productivity, puts you at risk for injury and increases mistakes. Instead of pushing yourself, take a walk or do something else you enjoy. You will feel refreshed and ready to take on so much more when you return. According to an article on the University of Illinois extension site, getting organized can be a great way to minimize stress. If some of your stress is associated with feeling like things are out of control in your home or office, getting organized can go a long way toward helping calm things down. This may involve straightening out your work or living space, coming up with a system to keep track of what you have to do and how you are making progress toward goals, or implementing effective time management procedures and habits. It took a while for you to get to your current stress level. This means it's going to take you a while to get it back down again. Try the above suggestions for a week and you will start to see some improvement in how you feel. You will start to feel better physically, accomplish more, and feel like you can finally handle what life has in store for you!